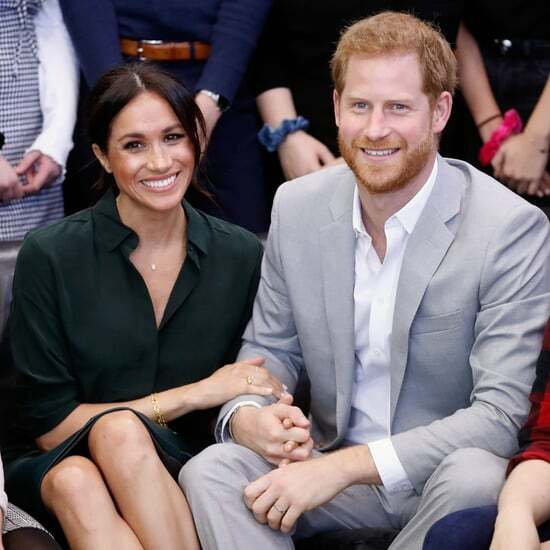 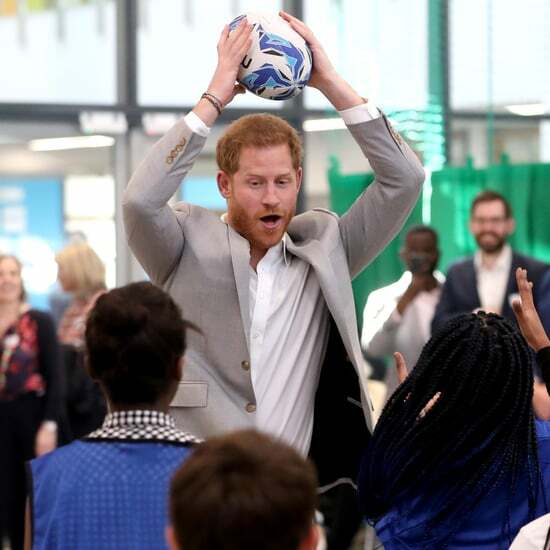 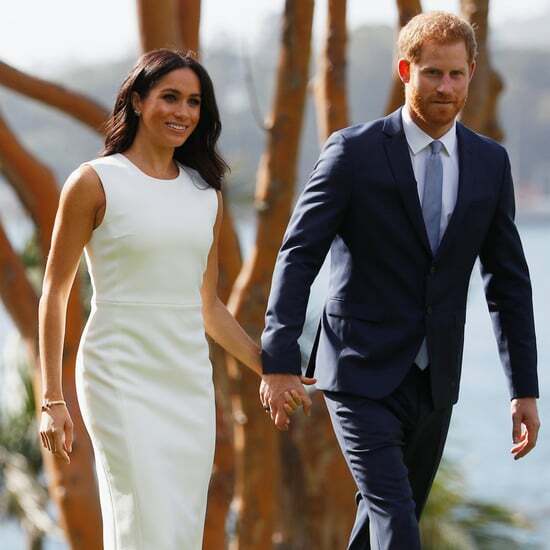 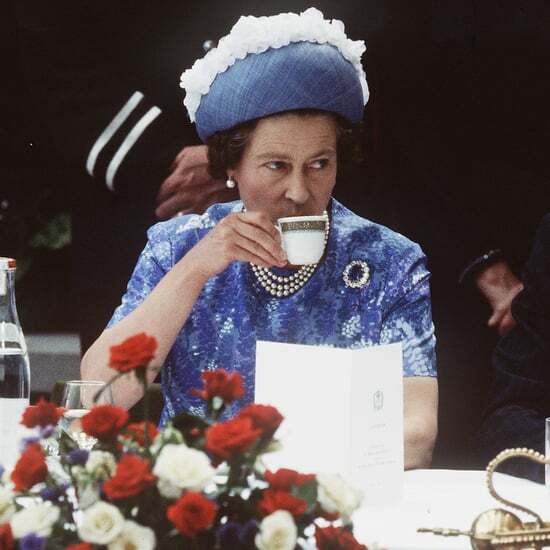 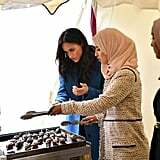 Though Meghan Markle's first official solo royal engagement isn't until Sept. 25, that doesn't mean she's not been keeping busy. 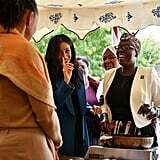 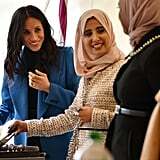 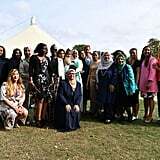 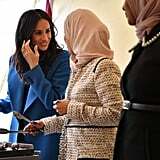 On Thursday, the Duchess of Sussex invited women from the Hubb Community Kitchen in West London to join her at Kensington Palace to cook dishes from Together: Our Community Cookbook, the book that Meghan is supporting as one of her first projects as a member of the royal family. 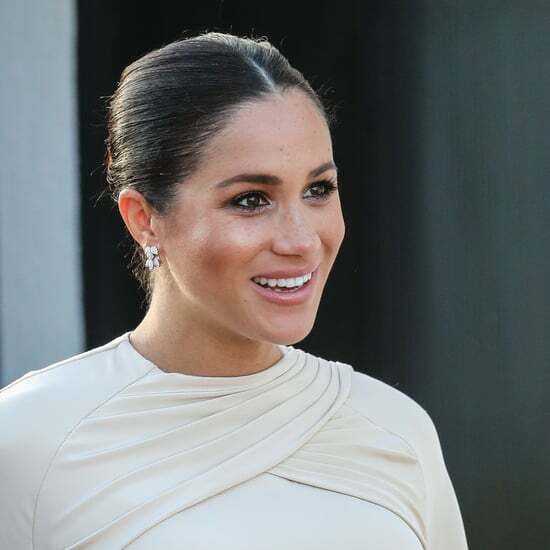 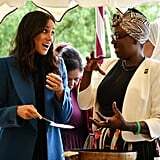 Meghan wrote the foreword for the charity book, which contains recipes from members of the community in West London that came together following the devastating Grenfell Tower fire. 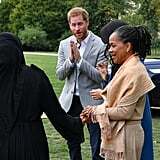 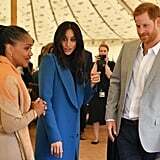 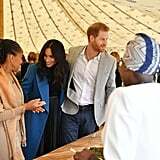 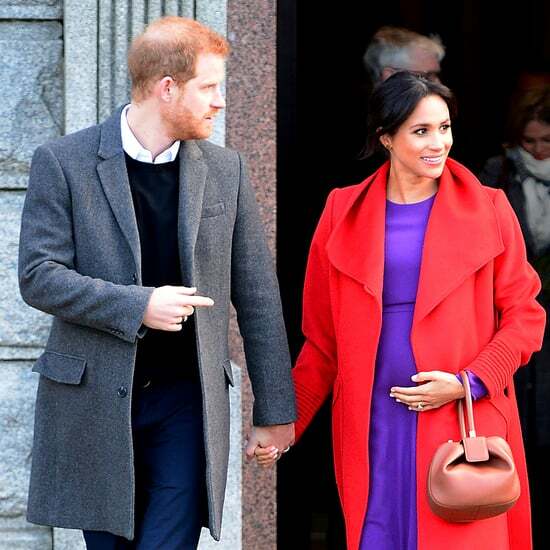 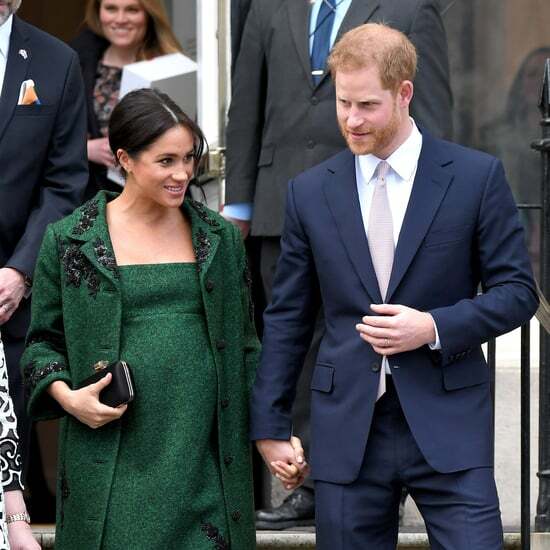 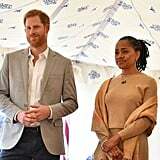 Dressed in a black turtleneck dress and stylish blue overcoat, Meghan was joined by Prince Harry and her mom, Doria Ragland, whom we last saw front and center at the royal wedding. 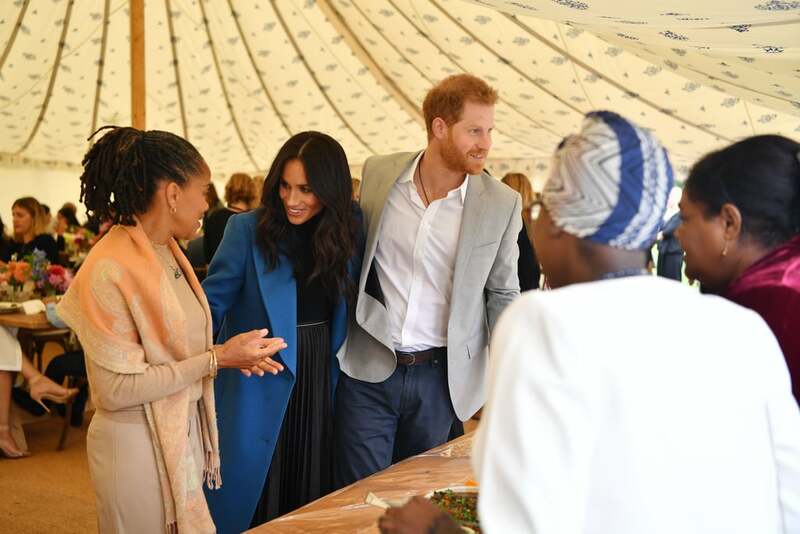 Their mother-daughter bond was on show once again as Meghan introduced Doria to the special guests who helped create the cookbook. 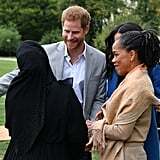 Meghan's next appearance will be on Sept. 24, when she and Prince Harry attend the Coach Core Awards. 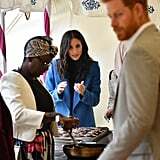 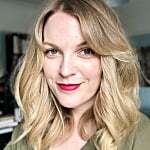 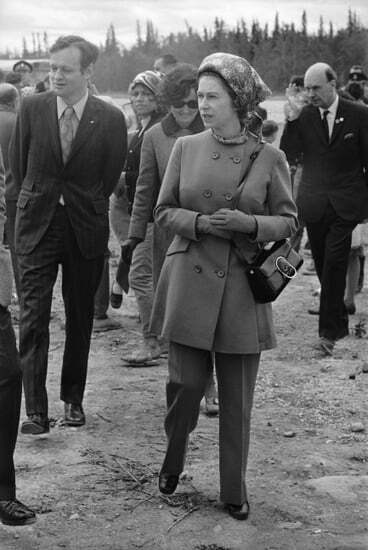 The following day, she'll step out on solo official duties for the first time when she attends the opening of Oceania, a new exhibition at London's Royal Academy of Arts.